If you’ve never seen a TED talk, you’re missing out. A day amongst TEDsters is energizing, enlightening and inspiring. It’s mental gymnastics as your brain twists and turns to absorb new perspectives and new ideas. I walked away from my first TED experience last year exhausted, but with an important realization. The power potential of the TED approach, applied within the health care dynamic is catalytic. Health care is in the midst of an innovative revolution as decades old obstacles are being discarded and replaced with new solutions that rapidly personalize the care we receive. Increasingly, we’re less a number and more the human being with growing control over the type of experience we want for ourselves and our loved ones. I see this exponential growth within my own organization at Regence. Our roots track back to the first health insurance plan in United States history. Yet, I came to this company for the promise of tomorrow that is now manifesting right before my eyes. We’re applying the TED approach. We don’t call it that, but it’s essentially what we’re doing. We’re challenging conventional wisdom with new ways of thinking. We’re opening our minds by opening our doors to brilliant creators – even if, or perhaps because, they’ve never been in health care before. The solutions, centered on the needs of our members, that we’re now capable of delivering are the future of health care: Prescription drug prices and effectiveness grades direct to your mobile device; Personalized trainers, maternity care and wellness. All of these and more are coming together, and it’s happening right now. It’s this nexus that inspired Regence to support TEDxPortland this year. Just as those delivering health care are pushing past the boundaries of the past, so too must we all as individuals. That’s what TEDx celebrates. As health care consumers, we must engage with our bodies and our minds. Over the course of my life, I’ve been a horrible health care consumer. I never looked at cost, and quality always took a back seat to convenience. It’s not how I shopped for a home or a car, but somehow it was alright for my health. Tomorrow, as 3,000 TEDsters fill the Keller Auditorium in Portland and thousands more watch online, my hope is that light bulbs turn on. I hope that attendees will be inspired and that some of that energy might center on how we can all play a role to improve our health care experience. What might the next conversation with your doctor sound like? Perhaps a dialogue, not a monologue? Perhaps a conversation of care and cost? What might your next pharmacy visit reveal and what tools can help you make better decisions? I could go on, but the bottom line is simple: We must employ the TED approach as engaged consumers, just as we expect the TED approach to be employed by those providing us care. 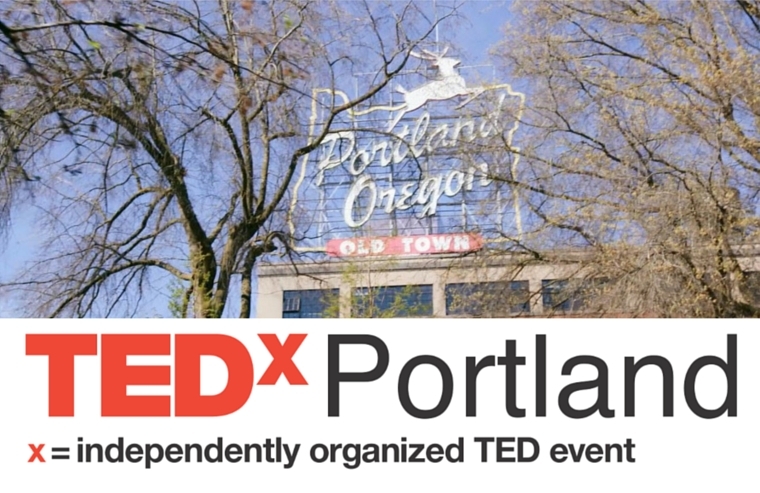 TEDxPortland creates a realm of inspired thought and dialogue that comes at a time of similar state within health care. Let us, together, create sound bodies and sound minds as we create a sound system that puts our needs at the center of all we do.